THE Constitutional Court has issued an ex-parte order staying the decision by President Edgar Lungu to dismiss former Director of Public Prosecutions (DPP) Mutembo Nchito for misconduct. The order was issued without hearing the Government. 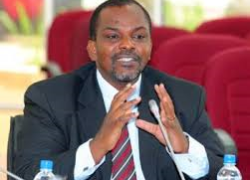 Shocked Government officials learnt from an item on Muvi Television yesterday evening, that Judge Enock Mulembe had granted the order setting Friday 19th August 2016 for an interparty hearing. The unprecedented decision sent shock waves in the political and legal fraternity as it was coming soon after the same court ordered Cabinet Ministers to pay back salaries earned after Parliament was dissolved. It is the same court that will decide the fate of President Edgar Lungu when the petition being prepared by opposition UPND is presented. It is expected that the petition will be filed on Thursday this week and immediately Speaker Judge Patrick Matibini will start acting as President. “We are worried by what is happening in the constitutional court.” A Cabinet office official told the Daily Nation. 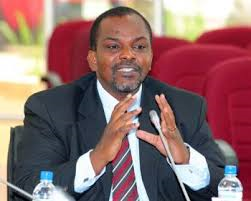 Nchito was dismissed by the President for misconduct following an investigation and recommendation by a Tribunal comprising of senior Judges led by former Chief Justice Annel Silungwe. Last week President Lungu wrote to Mutembo Nchito informing him that he had been relieved of his duties in accordance with article 144 of the amended constitution following a recommendation from the Justice Annel Silungwe led tribunal. According to the Constitution the President has no discretion to reverse a recommendation by the Tribunal, meaning that the Head of State was formalizing a decision arrived at by the Tribunal.